Step 1 Preheat Oven to 400 degree F. Place bamboo skewers into water,this will prevent it from burning when you place on the grill. Step 2 To make BBQ sauce, mix all ingredients in a small pot and leave to simmer for 4-5 mins on medium low heat. Place into refrigerator to cool fast. 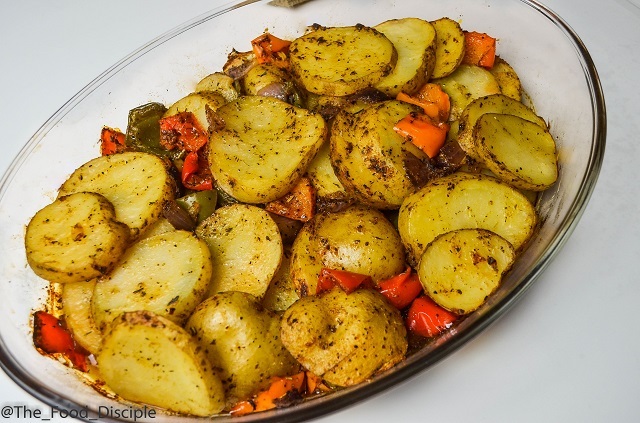 Step 3 Slice Potatoes in a bowl, add bell peppers, onion and the rest of the seasoning. Mix properly, place on baking dish, cover with foil and bake for 35-45 mins. Step 4 Marinate chicken with BBQ sauce in a sealed zip lock bag for 30 mins in the refrigerator. Reserve some BBQ sauce for basting. 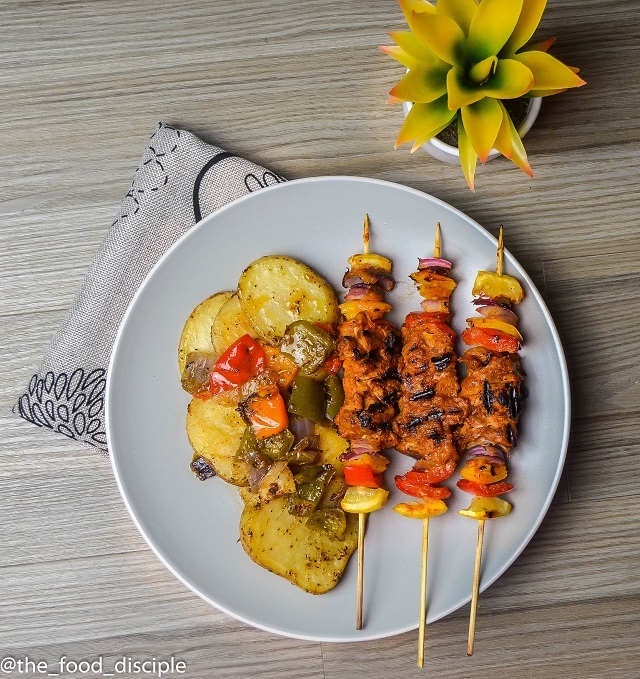 Step 5 Place chicken cubes into bamboo skewers with any garnish of your choice. Lightly oil the grill on high heat and cook on both sides for 6-8 mins each. 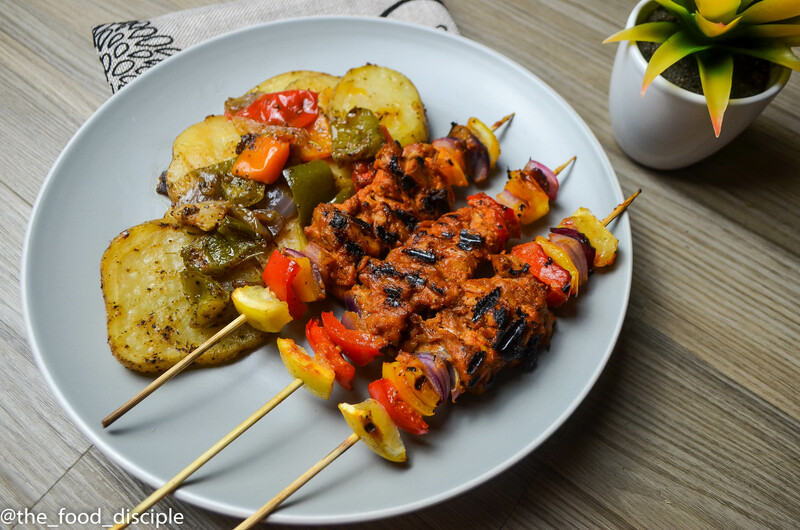 Flip the skewers frequently and baste with reserved BBQ sauce and cook until brown and crispy if you like.